Spirulina is a blue-green alga that exists since 3 billion years and belongs to the micro-algae’s family. It can grow under very extreme conditions which makes it an ally to fight malnutrition: it can be cultivated locally and contains a wide range of benefits. Vitamins are essential to our development, they are present in different kind of food and we only need a small amount of them per day to function well. Vitamins are spitted into 13 categories and have different needs and benefits. For instance, the vitamin A, D, E and K are vitamins that you can get from food which contain fat and the body will keep it safe in its own fat. Thus, we don’t need to take these vitamins every day, they stay for a long time in the body thanks to the fat stocking. But it exists some vitamins, B and C, which are water soluble vitamins and they do not stay in the body, we need to eat or drink some every day. Among all vitamins B and C, Spirulina offers a large panel of them in high amount. Indeed, B6 which helps in the assimilation of protein and Biotin, which makes the body integrate better some complex B vitamin, are both present in Spirulina. Niacin for cholesterol reducing and mental health, B1, B2 which regulate the sugar level in the blood and even B12 vitamins are part of the Spirulina benefits. B12 vitamins is very rare in plants, it prevents from disease like pernicious anemia. It is great news for vegans and vegetarian because Spirulina contains a lot of this B12 vitamins and it usually comes from animal source such as beef liver, tuna or oysters. Another great news for them, Spirulina is rich in protein and even more then meet itself. Indeed, in Spirulina you may find between 65% and 71% of protein, with the 8 amino acids that are essential to the human body. When food contains protein, it needs these 8 amino acids to be considered as biologically complete, these are the amino acids that the body is not able to produce himself. When the body takes some food with insufficient number of amino acids, the metabolism is unbalanced due to the fact that the body does not store these amino acids. Spirulina can help regulate the diet and in fact contains more than 8 amino acids, but has 17 just like the breast milk. Spirulina is also full of Beta Carotene which is a very important antioxidant and good source of vitamin A (Beta Carotene is converted into Vitamin A in the body). The algae contain a natural form of Beta-Carotene that makes it easier for our body to assimilate it. A lack of Vitamin A is the main cause of malnutrition, and this one of the reasons that Spirulina would be the perfect food to fight it. Moreover, studies have found that Beta-Carotene can help reduce the risk of cancer and make the immune system stronger (1). But Spirulina does not only have great properties with vitamins, but with minerals as well. 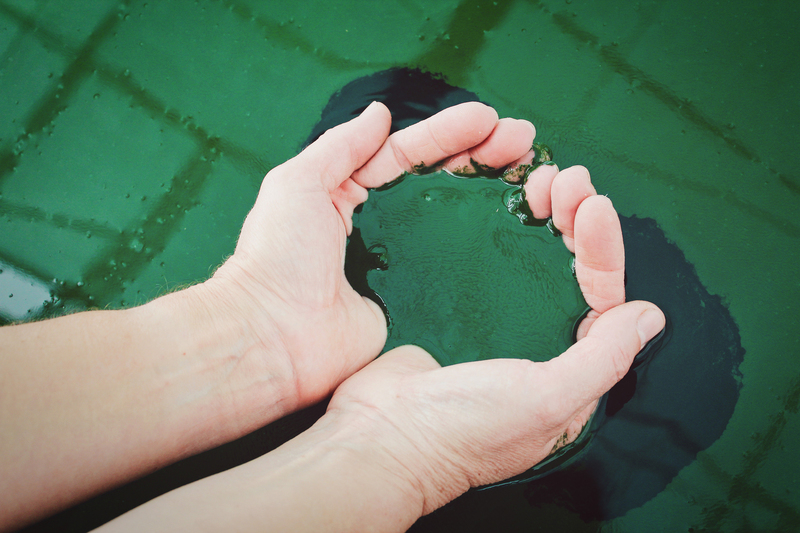 We remember that Spirulina can be cultured in very extreme condition but the reason it contains all these nutriments is because it is the only plant able to grow in specific ponds where some very rich alkaline water is its main supply. This alkaline water is full of minerals and Spirulina is able to stock them, and like Beta-Carotene, it stays in Spirulina under a natural form which makes us able to consume these minerals more easily. To sum up, it contains a lot of iron, calcium, potassium, zinc, magnesium and in surprisingly big amount. The concentration in minerals per gram is such that it overwhelms by far any other vegetable or dairy. For instance, Spirulina contains more Calcium than whole milk itself. To finish, it is a powder very low in calories, 1 big tablespoon of 7 grams is about 20 calories. This amount of Spirulina will give around 1 gram of fat, but good fat since it includes omega-6 and omega-3 acids. As seen in this article, we notice that Spirulina is a dense concentrate of vitamins, protein, minerals and antioxidant. Is is a very complete food that can boost our immune system by helping us equilibrate our nutriments supply. But in any way, it cannot replace a real source of protein, calcium or iron. 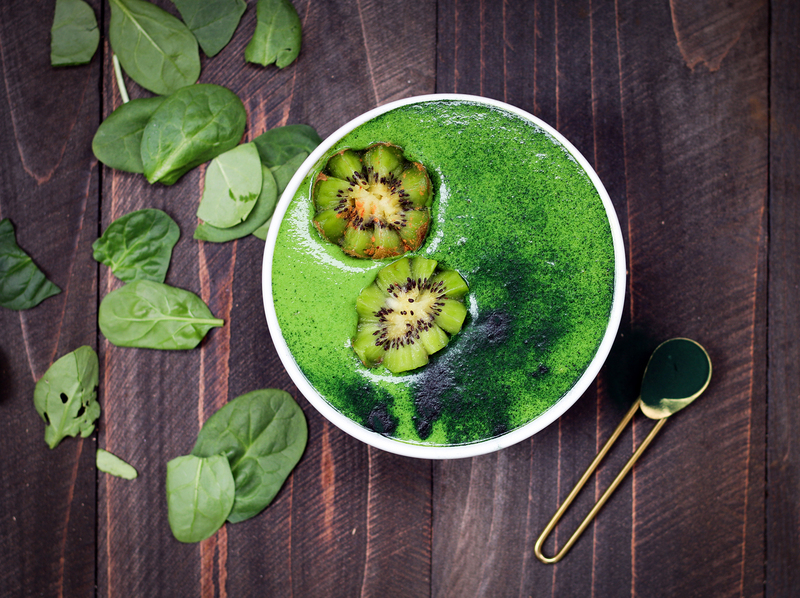 Even if the concentration is very strong, we should not forget that Spirulina is a powder and that eating tablespoons of Spirulina as a complete meal is not possible. One of two tablespoon per day is already a big amount, it will be around 5 to 10 grams but will only give the body 3 to 6 grams of protein. It is definitely not enough, and another source of protein is needed, just as calcium, iron and everything else. 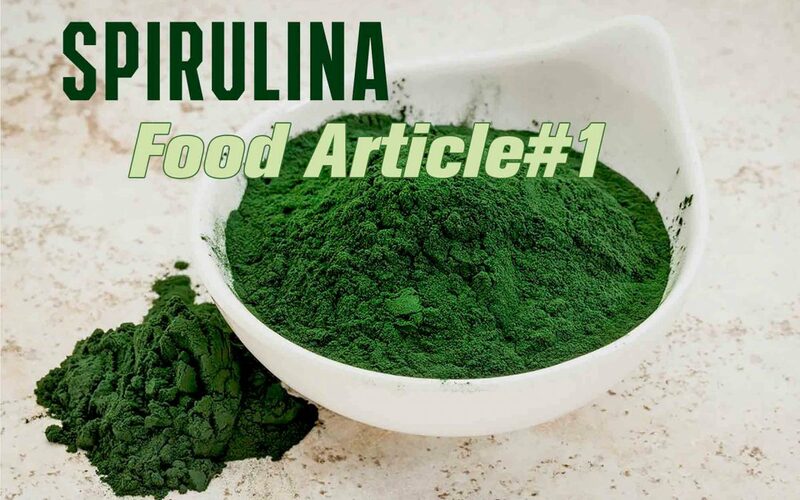 So, as a personal opinion, we would recommend to use Spirulina as a bonus to level up smoothies, breakfast pudding, pancakes, cakes, desserts and bring color to your meals while adding some extra nutriments that are always welcome. We think it is important to incorporate Spirulina in your everyday cooking life but never consider it as your main source of nutriments. 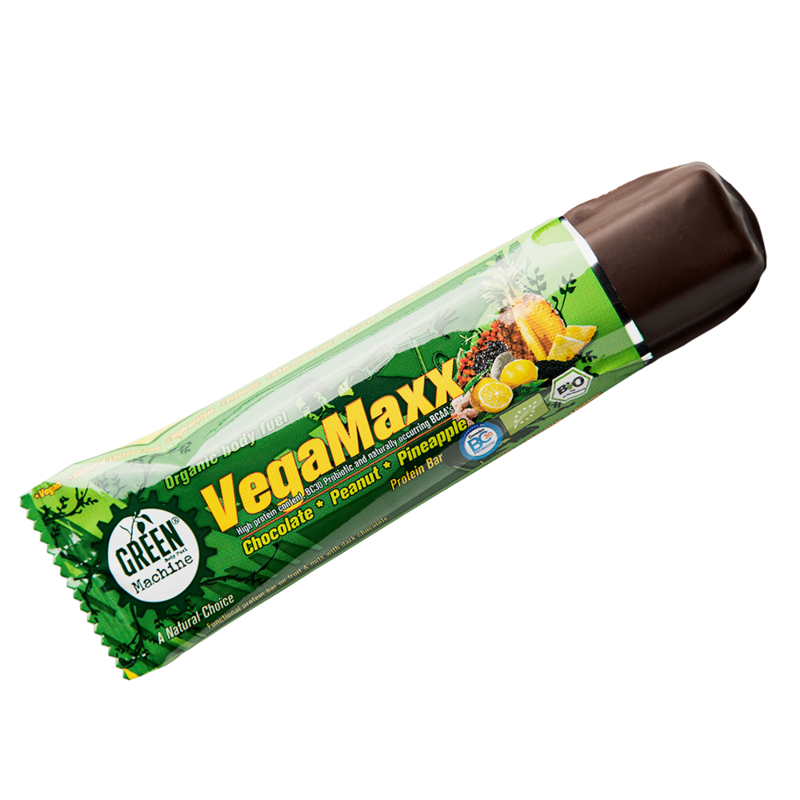 VegaMaxx is a vegan protein bar with many beneficial properties. 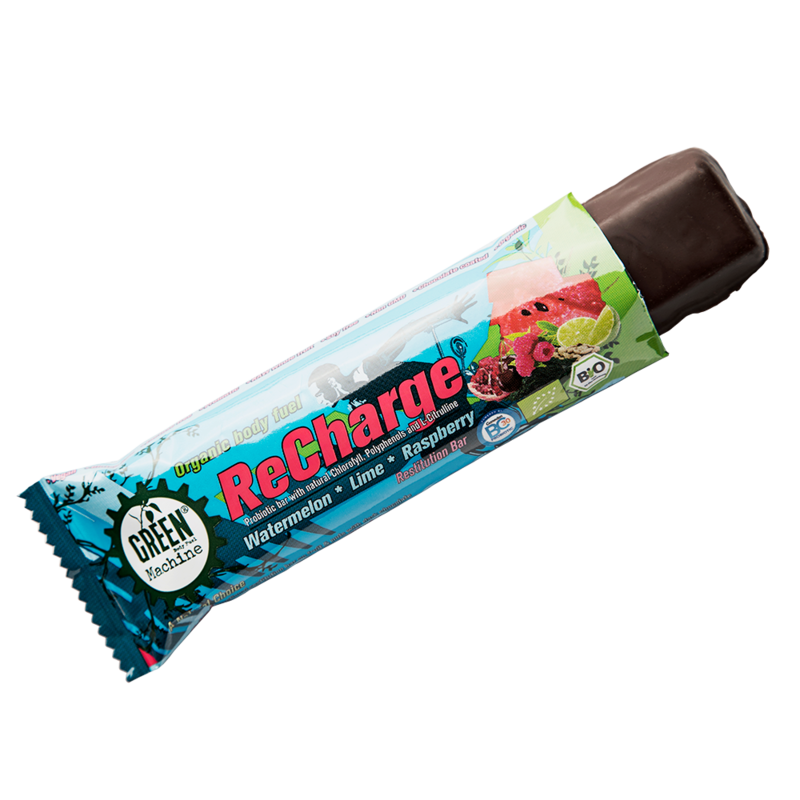 This bar contains no less than 24% vegan protein with a complex combination of amino acids. The bulk and the proteins in this bar come from grass kernels, rice, spirulina and peanuts. These protein sources ensure a broad amino acid profile and good bioavailability that help create a good framework for positive protein synthesis. To maximize the breakdown and absorption of proteins, we have used a lactic acid culture (Ganeden Biotech BC30), which contributes to a better intestinal flora. At the same time, VegaMaxx has a high content of healthy fatty acids and also contains guarana, which can help a higher energy level and increased stamina. VegaMaxx, among other things, has lemon, sea-torn and pineapple, also has strong antioxidant properties, which can help boost the immune system and speed up the recovery process. Our VegaMaxx is coated with delicious organic 70% dark chocolate and at the same time has a fresh taste of natural fruit! When? We recommend VegaMaxx as proteinable after your workouts! The bar can also be used before physical activity, to fill the body with energy and good nutrition. Spirulina is algae that thrives in subtropical and tropical waters and is one of the most recognized superfoods in the world. Green Machine Spirulina is grown in a cultivated environment and spray dried immediately after harvest to ensure the many nutrients and high quality. Spirulina was a source of food for the Aztecs already in the 16th century, but has also been used by several Asian cultures for centuries. Today, Spirulina is used by millions of people all over the world, including the NASA space program, where spirulina has been used as dietary supplements for their astronauts for many years. 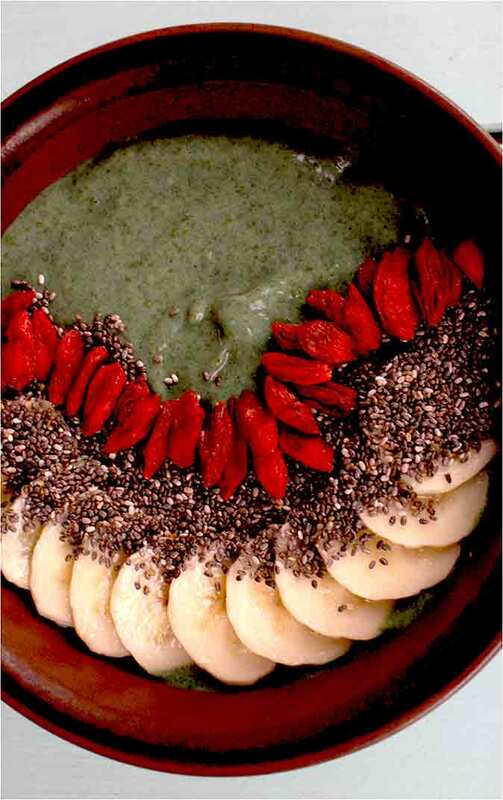 Many people think that spirulina is one the most ultimate types of food in the world. One reason for this is that the algae contains large amounts of chlorophyll, which is the substance that is the basis of the green color of plants. The high content of chlorophyll can contribute to increased oxygen absorption through increased red blood cell production (improved VO2 Max). Spirulina has an incredibly nutritious profile. Most of the nutritional content is made up of protein, corresponding to approximately 60g protein per 100g. As this is plant protein it is not hard at the stomach like much animal protein. In addition, Spirulina contains all essential amino acids (those our bodies cannot produce themselves) and are perfect for vegetarians and vegans. At the same time, the algae contain many vitamins and minerals, including vitamin A, iron and calcium. 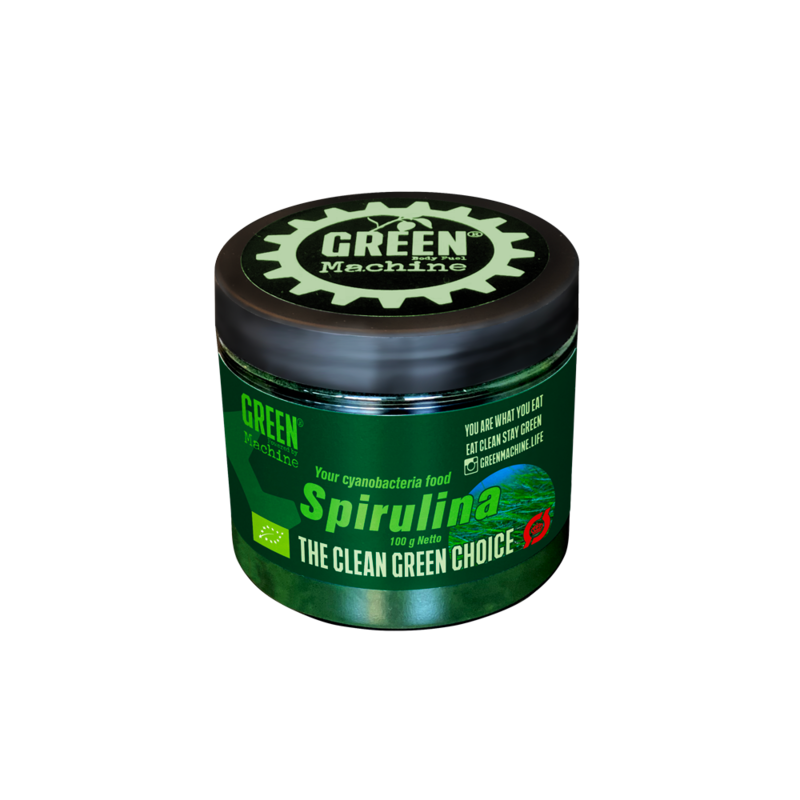 Spirulina can be used as a source of protein after a run or training, to ensure a proper recovery process. It can also be used before physical activity to optimize conditions for a strong performance.